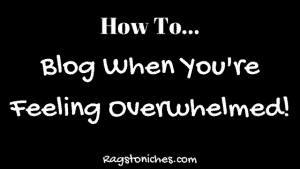 How To: Blog When You’re Feeling Overwhelmed! Last updated on October 24, 2018 By Nat Leave a Comment This post may contain affiliate links. We appreciate you supporting Rags To Niches! Full disclosure here. Niche Site Challenge & A 2018 Online Business Goals. Last updated on March 9, 2018 By Nat 2 Comments This post may contain affiliate links. We appreciate you supporting Rags To Niches! Full disclosure here. 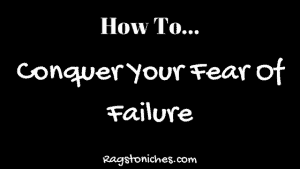 How To Conquer Fear Of Failure, In Online Business! Last updated on June 22, 2017 By Nat Leave a Comment This post may contain affiliate links. We appreciate you supporting Rags To Niches! Full disclosure here. 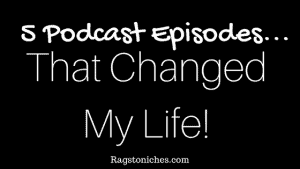 5 Podcasts That Changed My Life! Last updated on December 5, 2018 By Nat 8 Comments This post may contain affiliate links. We appreciate you supporting Rags To Niches! Full disclosure here. 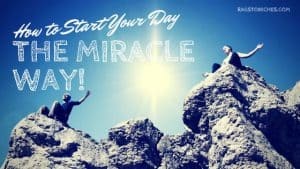 How To: Start Your Day, The Miracle Way! Last updated on January 14, 2019 By Nat 2 Comments This post may contain affiliate links. We appreciate you supporting Rags To Niches! Full disclosure here.